While Google Assistant keeps winning the fight of the voice-based digital assistants, Amazon’s Alexa is way ahead in the battle commercially, with almost three out of four ‘smart’ speakers sold around the world featuring Amazon’s software rather than Google’s. One of the reasons for that is the first mover advantage for Alexa, given that the software debuted back in 2014 with the launch of the first-generation Amazon Echo. What has also aided its popularity over the years is its compatibility with a multitude of devices from several third-party manufacturers. According to a recent report from Consumer Intelligence Research Partners (CIRP), there are now 14 million Google Home units in the US, which is 31 percent of the overall installed base of 45 million units. Amazon Echo/Alexa continues to dominate the category with an estimated 31 million units, which represents 69 percent of the US market. However, Google seems to have gained a massive amount of market share during the final quarter of last year grabbing 40 percent of the market during the period. 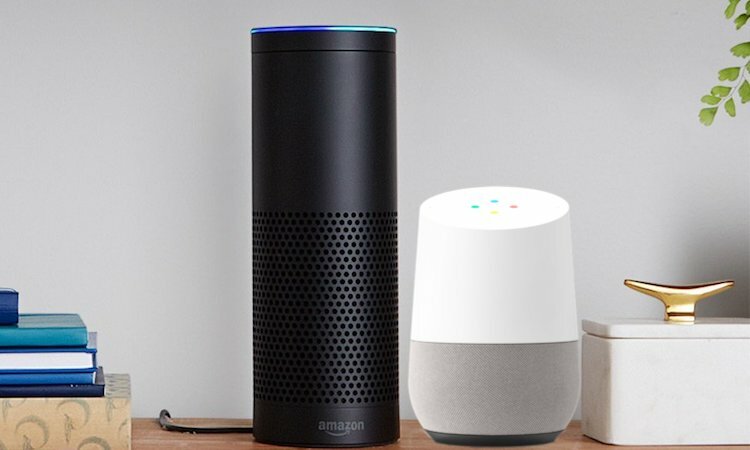 It’s important to note here that the research seems to pit Amazon Alexa (software) against the Google Home speaker (hardware), which may be one of the reasons for such a huge discrepancy, given that Google says its Assistant is available on over 400 million devices globally, though most of those are believed to be smartphones. Either way, the research also points out that the overall market has grown significantly over the past year, given that the entire market only consisted of under 15 million units at the end of 2016. The report credits “very aggressive promotion and rapidly growing customer interest” for the massive growth that has seen the market for these devices growing more than three-fold over the past year.